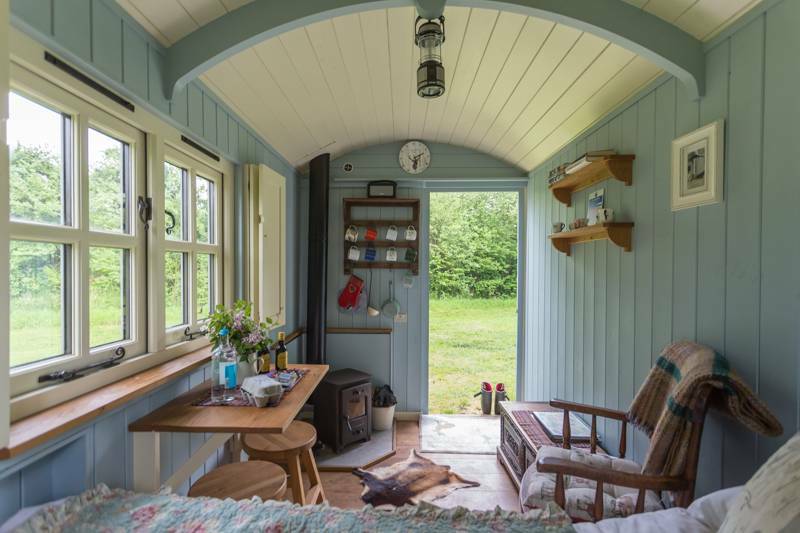 Far from the Madding Crowd - Dorset Forest Garden Glamping offers characterful vintage shepherd's hut glamping. 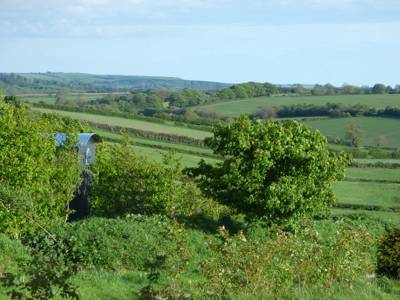 Set amongst fruit trees in a food forest, Dorset Forest Garden is in an area of outstanding natural beauty in the heart of rural West Dorset. 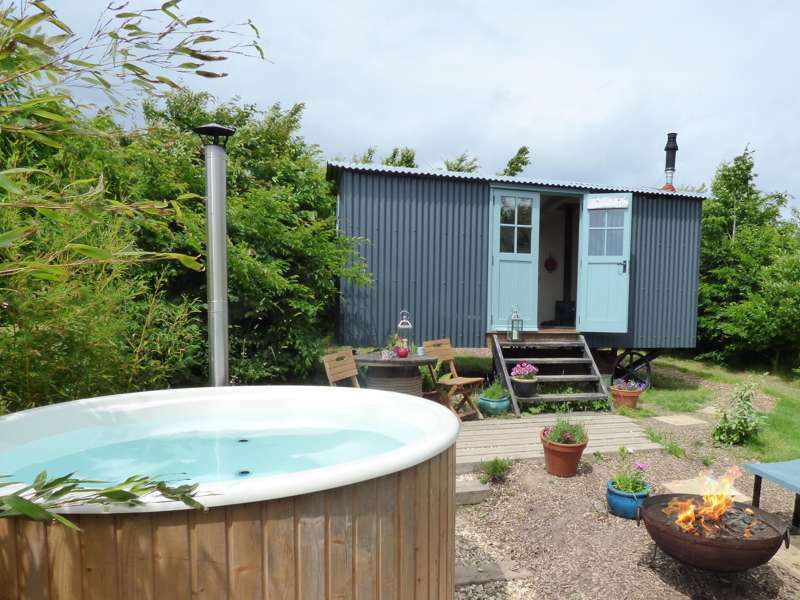 Both huts have their own private hot tub. 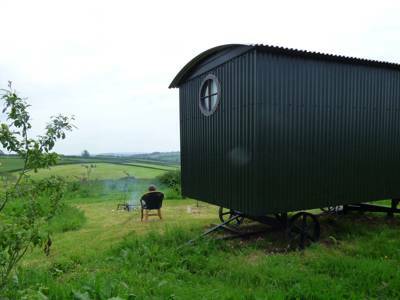 For cooking - in front of each shepherd's hut is a fire pit with all the equipment you need to cook a good meal. As well as this, there is a BBQ hut in the forest garden to make cooking fun whatever the weather. A fridge freezer and electrical points are also available in the BBQ hut. 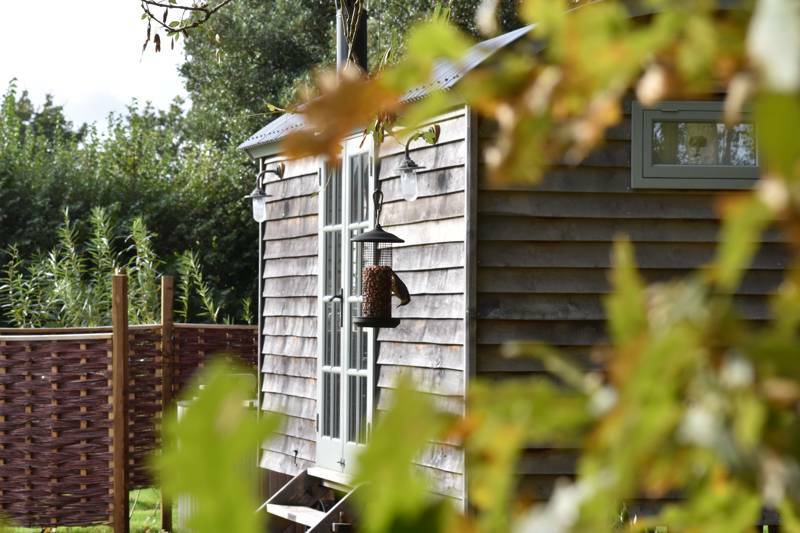 For latest availability and best prices for Dorset Forest Garden, please use the Date Search above. 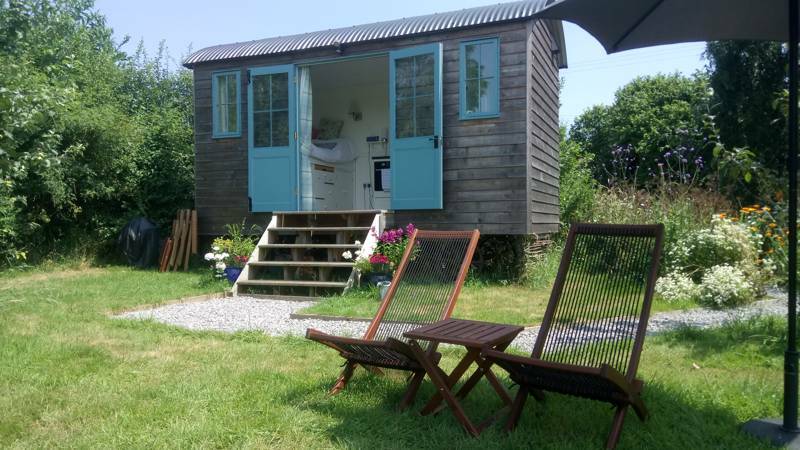 Each hut has a small wood burner, restored furniture and vintage fittings, king-sized bed (with feather duvet and pillows), en-suite shower and flushing toilet with towels provided and plenty of candles for lighting. 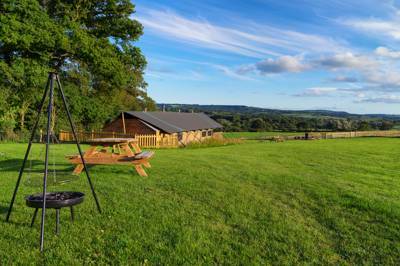 Outside, each shepherd’s hut has its own fire pit and hot tub and there’s a BBQ hut to share. Kitchen goodies to get you started including fresh potted herbs, organic milk, and marshmallows. Right from the farm gate there's an extensive networks of footpaths and bridleways and each hut has its own map to help you explore. From Eggardon Hill (one of the finest views of any hill fort in the county) to Golden Cap (the highest cliff on the south coast), the guide in your hut has loads of great options. The farm is just a few miles from Hooke Park, the home of the Architectural Association and a great place for a shady woodland walk to enjoy some cutting edge wooden structures. On the coast, West Bay is 9 miles away – half way between Chesil Beach and Lyme Regis. For Thomas Hardy aficionados, Beaminster (Emminister) is part of the Hardy trail, which includes Thomas Hardy's Cottage (01305 262366) in Dorchester. The farm often has seasonal food available to cook on the BBQ. The Red Lion (01308 862364), just down the road in Beaminster, is a firm favourite, with a great chef using locally-sourced ingredients. The Acorn (01935 83228) in Evershot is another great gastro pub and a gold winner in the Dorset Tourism Award. The Hive Beach Café (01308 897070) at Burton Bradstock is loved by locals and visitors and has freshly caught seafood to enjoy by the beach. For shops, Washingpool Farm Shop (01308 459549) in Bridport sells a wide selection of produce from local farms, Samways Fishmongers (01308 424496) in West Bay is a great place to get your fresh local fish and seafood, and Beaminster has both a fruit and veg shop and a butcher, plus a small supermarket. From Dorchester: Take A37 signposted to Yeovil. Just after Grimstone take the left signposted A356 to Crewkerne. Follow this road through Frampton & Maiden Newton and climb up the hill. After the road flattens out go straight on at crossroads marked Beaminster left and Evershot right then after ¼ mile take the next left just after a lay-by. Follow the lane down for ½ mile and Dorset Forest Garden is at the bottom on the right. Maiden Newton and Crewkerne are the closest railway stations. 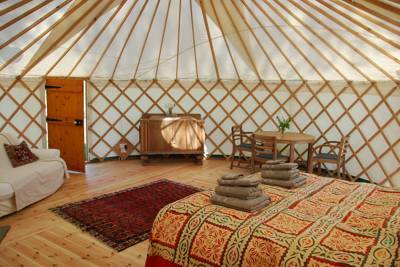 2 shepherd's huts with ensuite facilities, each suitable for 2 people.